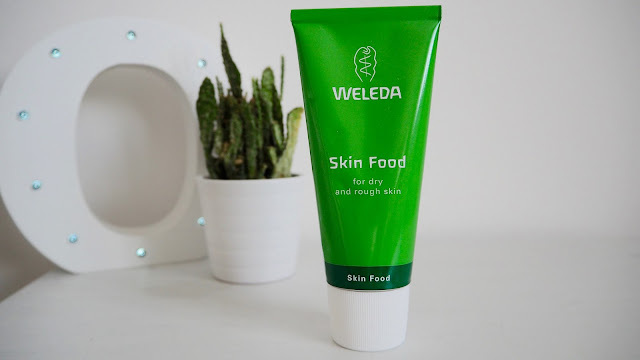 Weleda is a brand that I hadn't heard too much about before discovering them over at the bloggershangout, which i'm quite surprised about as I've tried every cream for eczema possible! Described as a universal saviour for dry and rough skin, this cream contains extracts of viola tricolour, chamomile and beeswax. I love the packaging of this product it reflects the product really well with its natural feel. I often have large red dry patches all over my face and with eczema I have quite a lot of random patches everywhere so this product seemed really appealing to me. I have been using this product once a day mainly on my face along with my other moisturisers and I can say it has really helped to sooth my skin. Its quite thick in texture so it feels as though it lasts quite a while on your skin and creates a barrier before feeling like you need to reapply. It's really helped to keep my skin moisturised and keep my dry patches at bay. I've been loving using this product so far and for only £9.95 I don't really think you can go wrong! I think this would be perfect in winter for when my skin starts to try out crack frequently. I'd definitely recommend checking out Weleda if your after natural products. Sounds like such a good product for such a good price! This looks like it would work really well for me! I love the background of the picture as well, it works so well!